USC Shoah Foundation recently hosted a group of staff from Aegis Trust in Kigali, Rwanda. The guests Claver Irakoze, Archive Manager, Clement Muhire, IT Specialist, Fabrice Musafiri, Digitization Officer, and Patrick Nkubana, Camera Operator, work on genocide archives at Aegis Trust, and came to participate in an onsite training on various aspects of archiving audiovisual testimonies. The team spent the majority of their time at the Institute's ITS offices training on the Institute’s digitization, restoration, and preservation processes workflow, and the archiving practices. 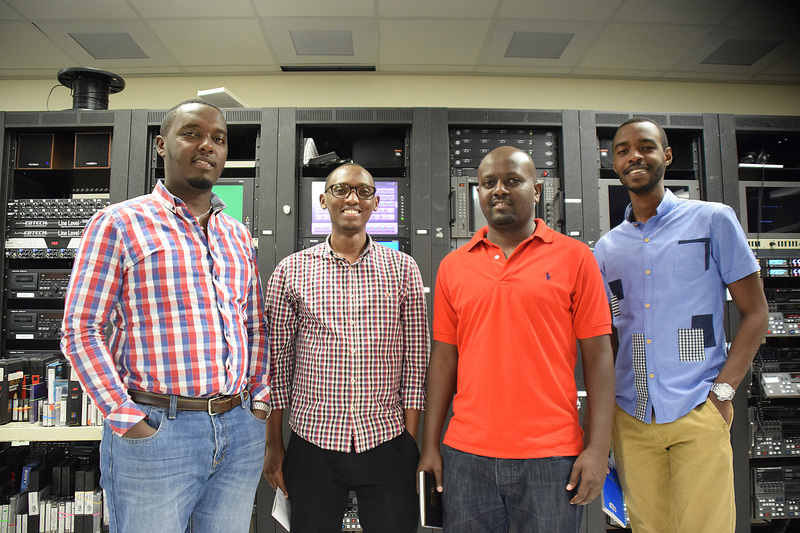 “During our visit we got to see how the latest technology can boost our archiving work,” said Muhire, IT Specialist. Muhire also expressed that he now feels equipped to handle issues as they arise during preservation processes. 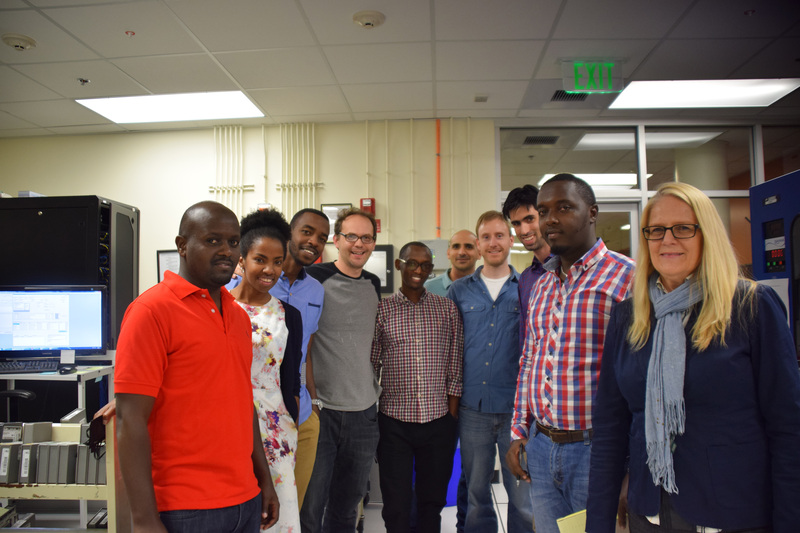 “From the brief two weeks with this amazing Aegis Trust team working on post production, database programming, scanning and archival training, it was evident that the range of work covered was going to be extremely relevant to their work in Rwanda,” said the Institute's Director of Technology Anita Pace. Pace went on to say that the USC Shoah Foundation team gained a great deal more knowledge about the Gacaca Project as well as current and future plans for the Aegis-Archive and Documentation department. “This is very important as we continue to partner and work closely with the Aegis Trust team to build a thriving archival preservation center,” she said. Their visit was partly supported by the Rwanda Peace Education Program (RPEP), which is led by multiple international partners, including USC Shoah Foundation, to develop peace education in Rwanda. 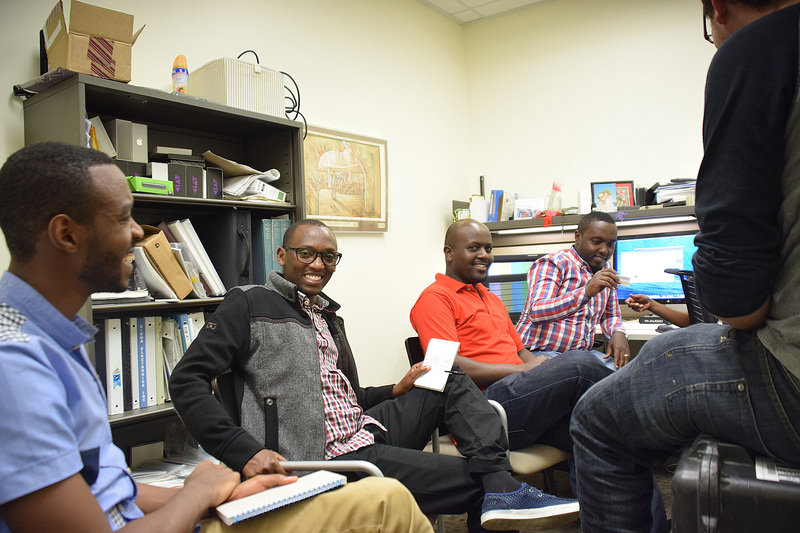 During their time here they met with USC Shoah Foundation’s Research and Documentation team to further collaborate on the indexing of Rwandan testimonies, review Rwandan content in the Visual History Archive, and review archive related activities in the RPEP.